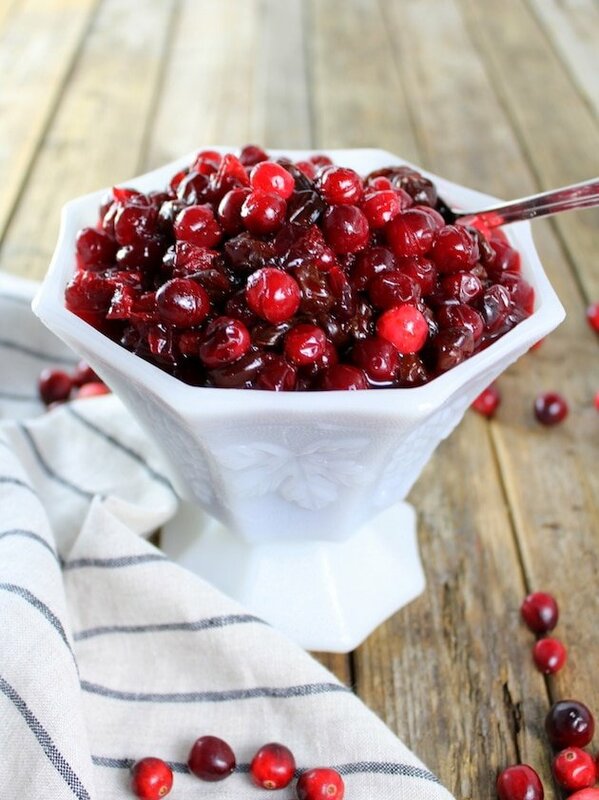 Cranberry and Dried Cherry Sauce is my all time favorite way to eat cranberries! 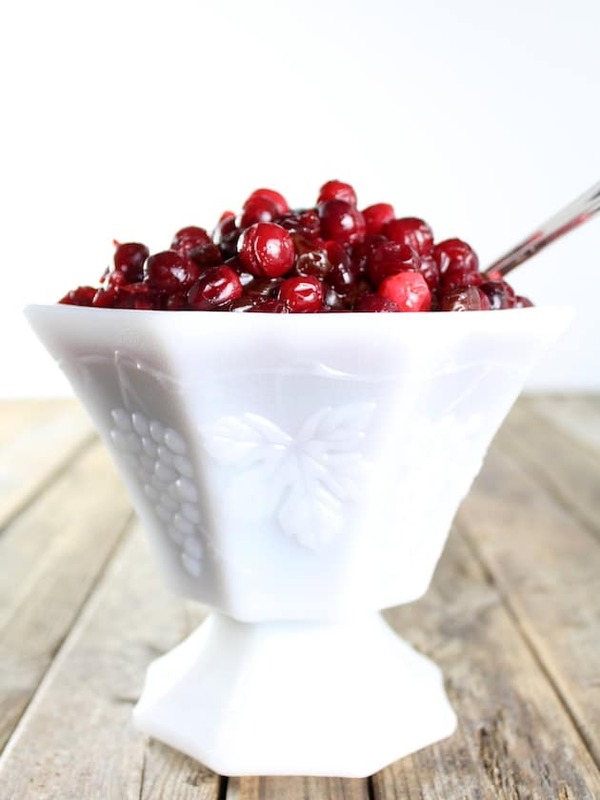 It’s the perfect balance of sweet and tart with Dried Tart Cherries, fresh cranberries, allspice, a cinnamon stick, and cranberry concentrate. 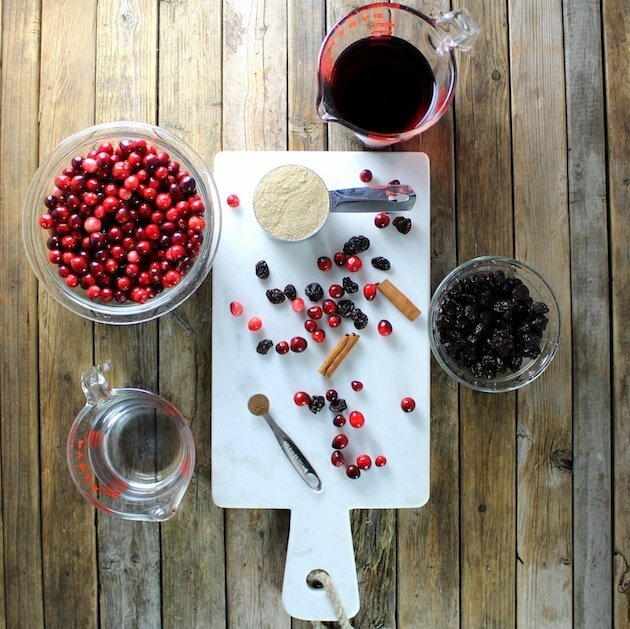 ALERT:⚠ Foolproof cranberry recipe coming your way!! 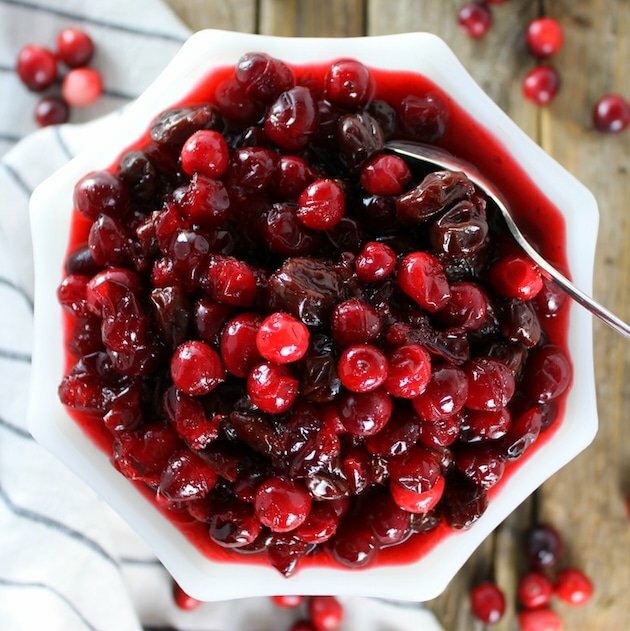 All you need is Dried Tart Cherries, fresh cranberries, allspice, a cinnamon stick, cranberry concentrate, a little water and you’ve got yourself the best cranberry recipe since the pilgrims celebrated their first successful harvest in 1621!🍂🎩 No joke, people!✌️ I don’t play when it comes to food. 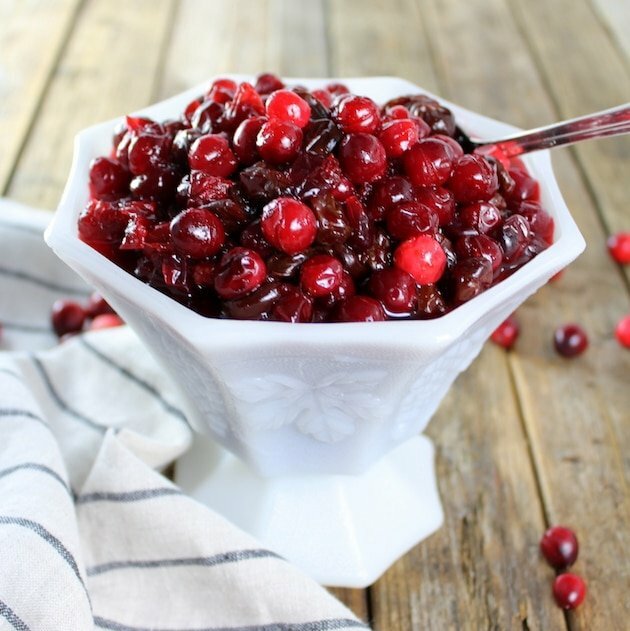 I hope you love this delicious Cranberry and Dried Cherry Sauce as much as I do!❤️ Happy eating! A great twist on cranberry sauce for Thanksgiving! 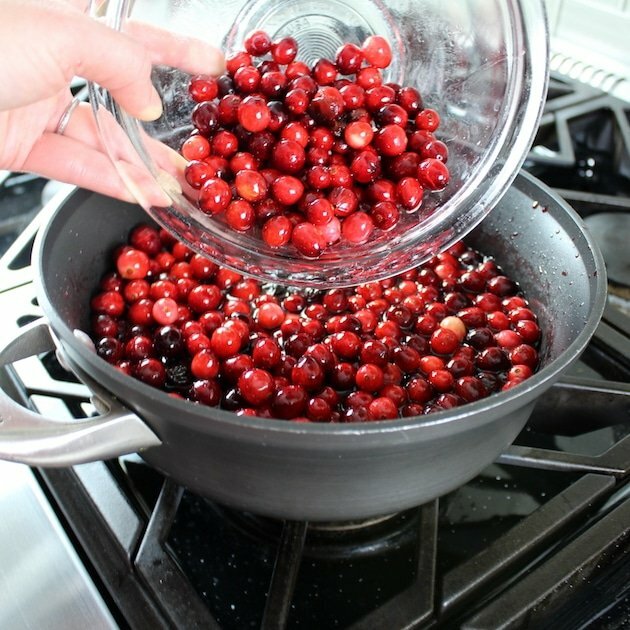 Bring the first five ingredients to a simmer in a heavy medium sized saucepan over medium-high heat, stirring until sugar dissolves. 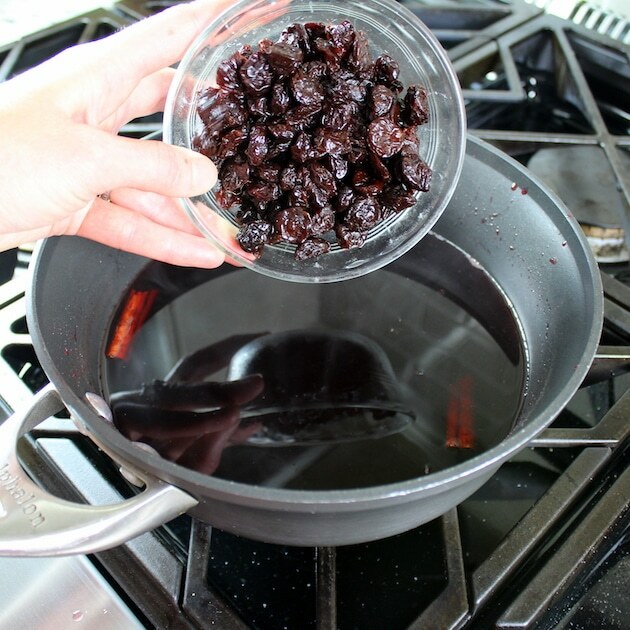 Add the dried cherries and cook for three minutes on medium-high. 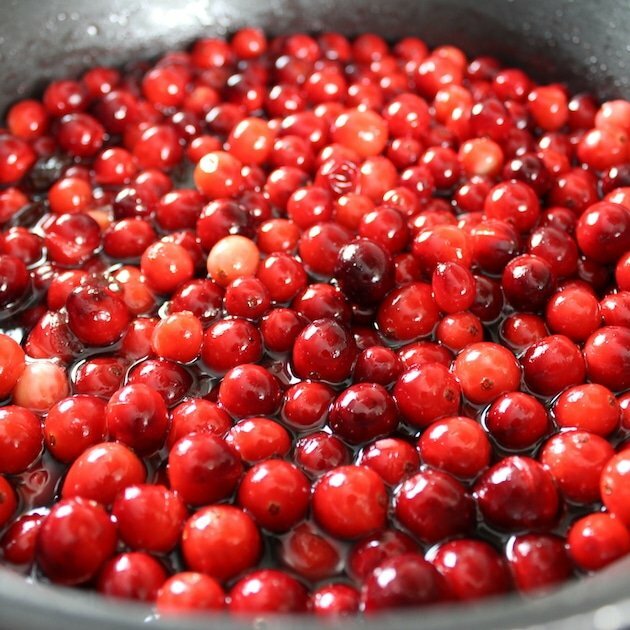 Add the cranberries and turn the temperature down to medium. Cover and cook three to five more minutes, stirring occasionally, until some of the berries pop. Transfer to a bowl and let them cool completely. Cover and store in fridge overnight. Do you leave the cinnamon stick in it? Or take it out before serving? Hi Dyane! You want to remove the cinnamon stick before serving… hope you enjoy!! Love the color in this one! !